Buy this book, help our troops! 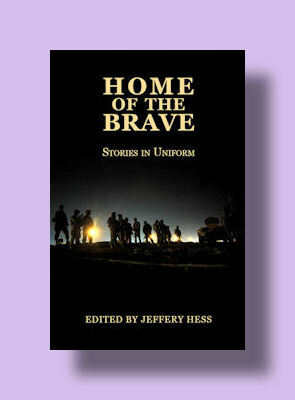 Editor Jeffery Hess donates a portion of proceeds from each sale of this award-winning anthology to USA Cares, an organization that supports our military from threats of foreclosure, etc. When you buy this book, you’re helping our troops. What a great gift this makes! You can buy it here. Carver Greene, former-Marine-turned-novelist, has released her first novel. An Unlawful Order is a military conspiracy thriller with a gutsy heroine, Captain Chase Anderson, a Public Affairs Officer in Hawaii. Buy it in paperback here. Buy the Kindle version here. About time, too! Find the full story and video interview here. 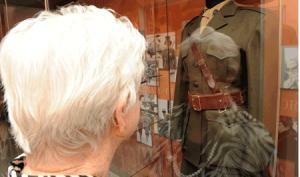 The Women Marines Association is taking seriously our history, our legacy. 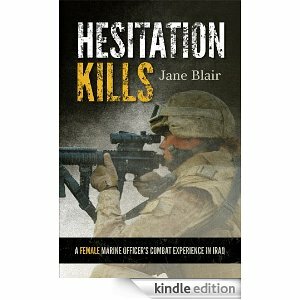 Former Marine, Jane Blair, publishes a memoir about her experiences as an officer in Iraq. From Amazon’s product description: This riveting memoir is the first book written by a female Marine about the war in Iraq and one of the only books written by a woman who has experienced combat firsthand. Deploying to Iraq in 2003 , Jane Blair’s aerial reconnaissance unit was assigned to travel ahead of and alongside combat units throughout the initial phase of Operation Iraqi Freedom. Throughout her deployment, Jane kept a journal of her and her fellow lieutenants’ combat experiences, which she draws on to convey the immediacy of life in the military, not just for a woman but for all Marines. You can order Hesitation Kills here.